Thanks to NECA, you don’t necessarily have to be a famous Hollywood director to remake Ghostbusters. 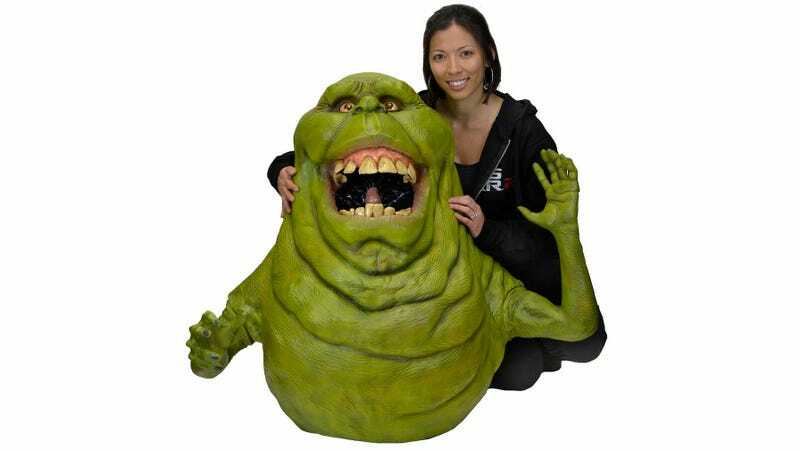 With this life-size replica of Slimer from the original film, you’re one prop closer to realizing your take on the classic comedy, maybe starring four golden retrievers this time. To create this three-feet tall replica, NECA actually used the original molds the special effects team created for the 1984 version of Ghostbusters, so it’s about as accurate as it’s ever going to get without actually being see-through or passing through walls. Made of foam rubber and latex, Slimer is hand-painted to ensure every last detail is perfectly recreated. That also means hours of intensive labor that results in a $600 price tag when it’s available come June.